So how important is nutrition during pregnancy? Some women take this time to eat whatever they desire….after all, they are eating for two people right?! Some find the endless nutrition recommendations anxiety provoking and feel like they need to track exactly what they consume for the next 9 months to optimize their baby’s health in 2015’s nutrient deficient culture. This article will highlight research supporting the health benefits of the Mediterranean diet (minus the red wine recommendation) and the importance of fish oil during pregnancy. The Mediterranean diet has received a great deal of media attention over the past decade – and for good reason! Research has shown on several occasions that following the Mediterranean diet during pregnancy was protective for (or decreased the risk of developing) asthma and eczema (both increasingly prevalent conditions particularly in North America), not only during the first year of life, but also confirmed for lasting effects into the 6th year of life! Recommendations vary depending on individual circumstances. A naturopathic doctor is trained to accommodate recommendations based on your health history and pregnancy progression. 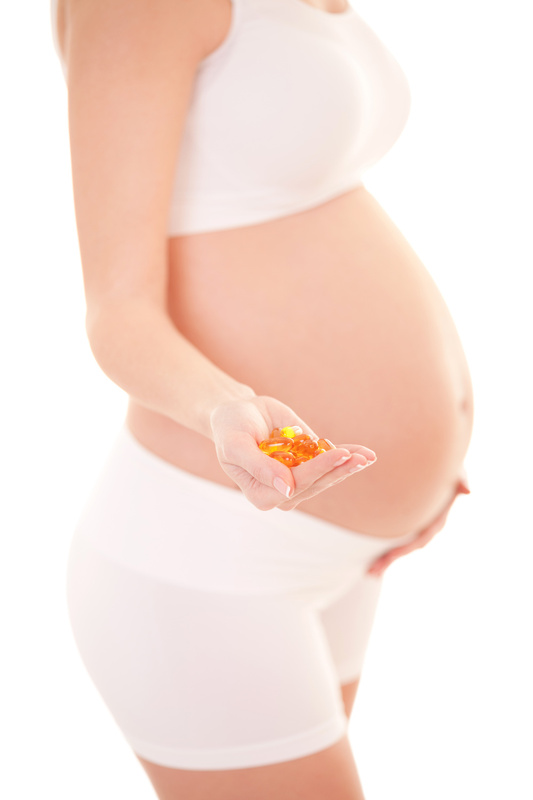 Fish oil is a critical component of the resulting health benefits of the Mediterranean diet during pregnancy; moreover, the research has identified EPA and DHA ratio (ingredients of fish oil) to be the most revealing via supplementation. Additionally, fish oil has shown to have mood enhancing effects when provided with a higher EPA ratio. Considering it is a natural food derived supplement, this form of support would be highly recommended as a safe pro-active approach to women with a history of a mood disorder in decreasing their risk of developing post-partum depression. There are many dietary specifics recommended for optimal nutrition during pregnancy which are not disqualified in the least in certain circumstances; however, to simplify into a single set of guidelines – the Mediterranean diet, with added fish oil supplementation (to ensure adequate intake) combined with emphasis on eating from whole foods, avoiding processed/pre-packaged foods and increasing protein and fruits/vegetable intake is a fantastic place to start. By adopting these dietary habits, along with a naturopathic doctor’s medical advice regarding added nutritional supplementation catered to your specific pregnancy, you can decrease the risk of your baby developing certain health conditions and lay the foundation for a healthy future. This article is not a prescription; it is solely provided for informative purposes and is not all-inclusive. Your Naturopathic Doctor will conduct tests as well as physical exams in order to provide you with an individualized prescription based on your specific needs which may include other recommendations not listed within the article above. Newer PostIndulge in a Healthy Halloween!